One of the most significant developments in the college application process over the last decade has been how colleges now prefer to receive applications, transcripts, and letters of recommendation electronically. At Oak Park High School we strive to be on the cutting edge in supporting our students with their applications. To that end, we have been using the NAVIANCE program since 2009 to not only assist parents and students with college research but also to submit documents electronically (i.e. transcripts, letters of recommendation, etc...). NAVIANCE eDocs gives us the ability to transmit documents to the 500+ colleges who use the Common Application, and an additional 1,600+ colleges through Naviance eDocs with deliveries by Parchment Exchange. The good news is that electronic document submission (via NAVIANCE the Common App & Parchment Exchange), has dramatically reduced the amount of paper that students and the school have to prepare and mail. It has also provided an added level of security because each of these services have tools that verify document submission. This is not an electronic school. They require transcripts and supporting documentation to be mailed via USPS. For this kind of school, you must either provide a stamped pre-addressed envelope to the OPHS Registrar, or we can put the transcript and/or letter of recommendation in a sealed envelope for you to pick up and mail yourself. So, if everything is electronic - why do we still get notices that documents have not been received? It is very frustrating for students, parents and OPHS faculty to receive this kind of communication from colleges when we know that the documents were prepared, paid for, and submitted on a timely basis. More than 1,600+ non-Common App schools accept electronic documents from Naviance eDocs with deliveries by Parchment Exchange. Both the Common App and Parchment Exchange provide document verification reports to NAVIANCE. Parents and students can confirm in NAVIANCE that their documents were submitted in the "colleges I'm applying to" page. If OPHS has submitted your documents you will see "initial materials submitted" next to the school in the "Office Status" column. If the Office Status still shows "Pending," you should contact your OPHS Counselor. You can also check to see if your Teacher Recommendations are "completed" as well! Naviance gives Oak Park High School's Counselors and Teachers the ability to submit your transcripts and letters of recommendation to your Common Application schools electronically. 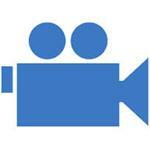 However, before we can do this - you must match your Common Application account with your Naviance account. Click here to view a training tutorial video on how to match your Common Application with your Naviance account. When a student creates an account in the Common App Online, the student must first identify Oak Park High School (CEEB code 050006), as their "Current or most recent secondary school attended." Once they do this, students will receive a prompt explaining that all of their school forms will be completed through NAVIANCE. He or she will then identify one counselor and one or more teachers. After a teacher or counselor is added to a student's list of school officials. Applicants are then able to monitor when individual teachers and counselors have submitted their various forms in the "Assign Recommenders" section. How do Common Application Colleges receive School Forms that were submitted online? Common Application members log in to a secure Website where forms submitted online – via either the Common App Online system or NAVIANCE – can be downloaded. This is the same Website where members have downloaded the applications and supplements submitted by students for the past decade. The institution receives the online portion of your application once you electronically sign the application and click the "Submit" button. Your application is then instantly made available to the institution, but it may take several days or more until the institution actually views your application. The institution will not see or know the specifics of your online application until you complete the steps involved in the submission process, which typically includes the payment of an application fee, submission of any required supplements, and acknowledgment of the accuracy of your application by use of the electronic signature. I've submitted my Common Application to multiple institutions, but some schools say they haven't received them yet! I created alternate "versions" of my Common Application for a few schools, and some of them have not received my School Forms - why is this? The Common Application allows students to create as many as 10 separate "versions" of their Common Application. The Common App does not allow us to submit documents electronically to alternate versions - only to the first version. If you did create alternate versions, you must provide hard copies of the School Report and Teacher Evaluation forms to your teachers & counselor, along with stamped, pre-addressed envelopes so we mail the forms (and your transcript). Note: A high percentage of Common Application schools already have supplements as part of their application so they have provided a way for students to personalize their applications. Creating different 'versions" of their Common Application is one of the most common reasons that School Forms aren't able to be matched to the student's application. 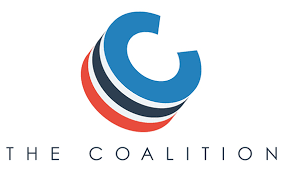 The Coalition for Access, Affordability, and Success was developed to improve the college application process for all students as they search for and apply to their perfect college. The platform provides a single, centralized toolkit for students to organize, build, and refine their applications to numerous institutions. It can be accessed at: http://www.coalitionforcollegeaccess.org/ If you decide to apply using the Coalition App you will be given the option to have documents such as transcripts and recommendations outside of the Coalition Application locker. Because OPHS uses Naviance for document submission you should select the following option in the Coalition App: "I will submit all these documents separately through other means outside of the Coalition System." What if my college is a non-Common App school, but NAVIANCE says it accepts Electronic Submissions - how can I verify that my documents were sent?" We’re glad that so many students want to come to IU, but processing all of the applications we receive takes time. Once your application is complete, you should receive information about your decision in four to eight weeks. We do indeed accept forms such as transcripts and recommendations electronically via Naviance eDocs! Please note that it may take up to two weeks from the time that your application materials are received in the Office of Admissions before your status is updated online and you can see that the materials have been received. Thanks for your patience. You can check your status by logging in to OneStart if you have already set up your IU computer account. 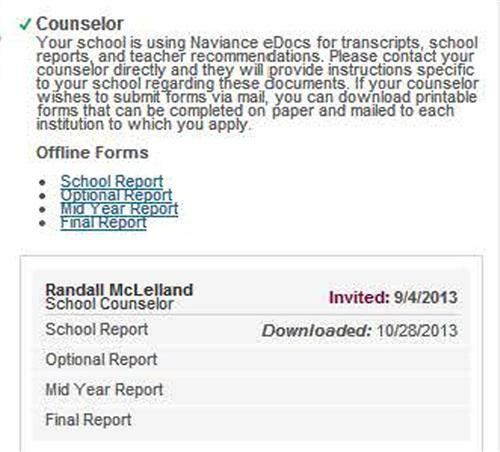 We do accept transcripts via the Naviance eDocs service. However, the processing time for submitted documents can be 4 to 6 weeks and, as such, students may receive correspondence from our office during that time indicating non-receipt. The transcripts do not need to be sent again. If you still have concerns, please feel free to contact our Admissions hotline. At the University of Texas in the best of circumstances, it can take two or three days for items you submit online to appear in your MyStatus page. Items you submit in paper form (by mail, for example), may take two or three work weeks to show up, especially near the deadline. And as the deadline approaches, the Office of Admissions can receive thousands of documents by mail each week. Document uploads: Electronically formatted documents are uploaded to our computer system and matched with individual application files. At this point, they appear in MyStatus. If you submit several items in one envelope or package, they may not all be processed at the same time. Different areas of the office process different kinds of documents, and what needs to happen and how much time it takes to complete each process varies. So one or more of your items may show up on your MyStatus page a couple of days before another. So, what should parents & students do when a college tells you they have not received documents that NAVIANCE says have been sent? Even in this electronic era, it is important to understand that there is still a "human" element to the college application process in College Admission offices. They are overwhelmed with documents (both paper and electronic), and it simply takes time for them to work through them all. Contrary to what most of us imagine, electronically submitted document are not automatically matched to a student's application. A human being must download the document, match it to the student's application, file it, and then log into the student's applications status portal. Re-sending documents in the middle of the application crush does absolutely nothing to help the process. Even though it might make us feel better, it only adds another item that has to be logged in and reviewed. These "re-sent" documents ultimately add no new information, and actually, end up delaying the review of a student's application. Bombarding them with phone calls and emails also takes away precious human resources from the application review process. 1.) If it is a Common App school: make sure you have confirmed the "submitted" and/or "downloaded by college" dates of the documents from your Common Application. Make sure you have these dates, along with you Common App ID when you contact the school. Also, make sure to check whether created any alternate "versions" of your Common Application for one or more of your schools. 2.) If it is a non-Common App school: make sure you have confirmed in Naviance that "initial materials submitted," is posted. If Naviance does show that your documents were submitted, you can contact your OPHS Counselor for a "Submission Status" printout. When you speak to the Admission office you should quote the "Naviance eDocs ID" number to them to help them locate the missing document(s). 3.) 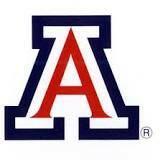 Students should always be part of any communication with a college! Whenever a parent contacts a school by themselves, the college representatives begin to wonder just how independent and ready the student really is for college. Colleges will put notes in the student's admission files as to how many times they have called, and who made the calls.